Johann Sebastian Bach (1685-1750) is without a doubt the greatest musical genius that Western culture has produced. His vast yield of outstanding works is constantly performed in a variety of styles and genres. 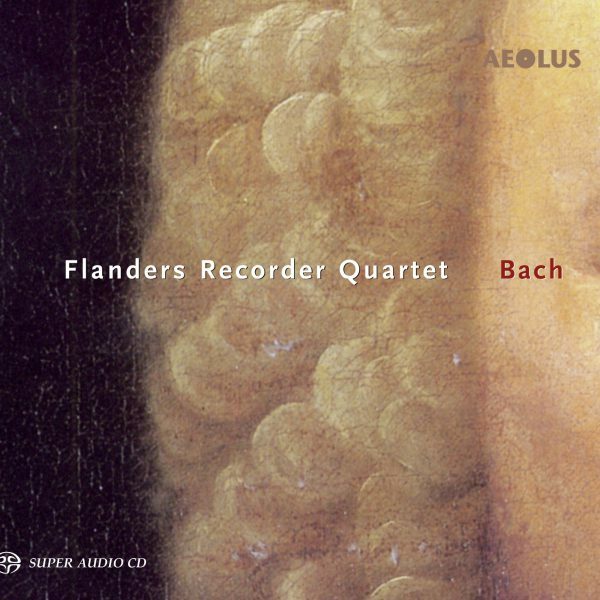 The diversity of his output is today presented by the Flanders Recorder Quartet with arrangements of expressive chorales, inventive preludes and fugues, lively Italianate concerti and a monumental passacaglia. J.S. 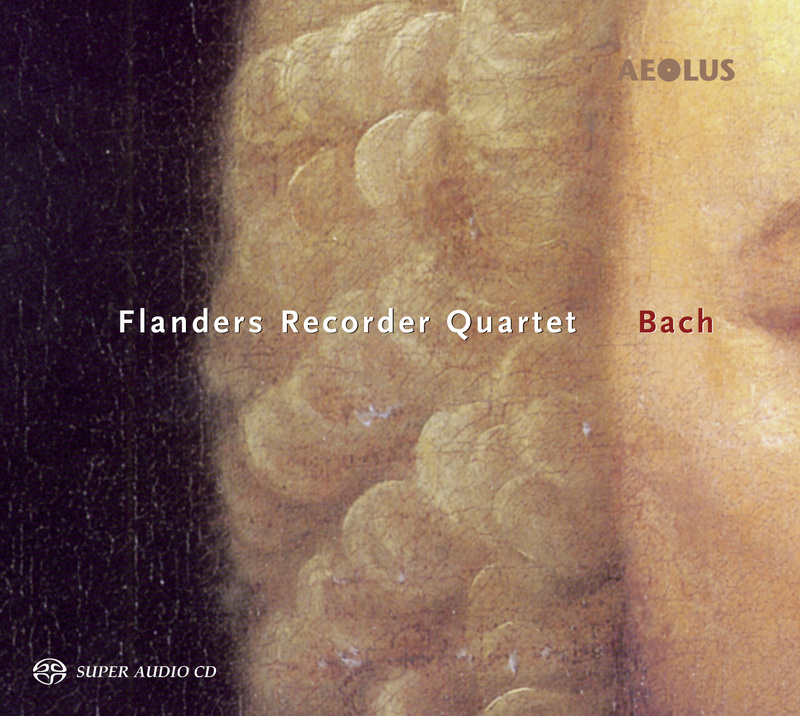 Bach composed very little for the recorder. This is the only error that we, as recorder fanatics, can impute to this genius of a composer. He did in fact include recorder parts in some twenty of his cantatas, as well as the St Matthew Passion, two of the Brandenburg Concerti and the Magnificat. The Actus Tragicus “Gottes Zeit ist die allerbeste Zeit”, is especially moving in its beauty, with its unusual combination of two recorders, two viols, solo voices and continuo. J.S. Bach showed a great predilection for the organ, the king of instruments. He walked some 300 kilometres in order to meet his mentor and source of inspiration, the German organist Dietrich Buxtehude. A recorder consort can be said to approach the sound of an organ, but it is impossible to imitate the complete grandeur of this instrument with four recorders. What the versions of organ works for recorder quartet do offer is a certain charm and transparency: each voice securing a degree of individuality and independence. Four artistic personalities melded together, as it were, into one player. “I thought that the art of the fugue and of improvisation had died out, but I see that they live on in you…” This statement by the organ virtuoso Johann Reincken, after meeting Bach late in his life, reveals the great admiration, appreciation and recognition acknowledged by a true connoisseur. Yet Bach’s music was greeted less enthusiastically by a number of his contemporaries. For many, his compositions came across as volcanic outbursts of dissonance and chromaticism, with outrageous bass notes and rapid-fire rhythms. His improvisations were found to be wild, overly-audacious and full of harmonic puzzles with (over-)extended modulations. In an organ competition in Hamburg, Bach could do no better than third place, after Telemann and Graupner. The first Bach biography appeared some one hundred years after his death. Unbelievable! J.S. Bach represents the highpoint of a contrapuntal tradition. Almost all of Bach’s compositions tend to be fugal; he seems to make a fugue of every composition, whether it is an unpretentious dance or a stately and grand chorale. The climax of this approach is without a doubt Die Kunst der Fuge, Bach’s final work, which reveals the composer as a masterful architect of musical construction based on four perfect and equal voices, and as a resourceful painter who is able to explore the whole palette of colours using just one theme.